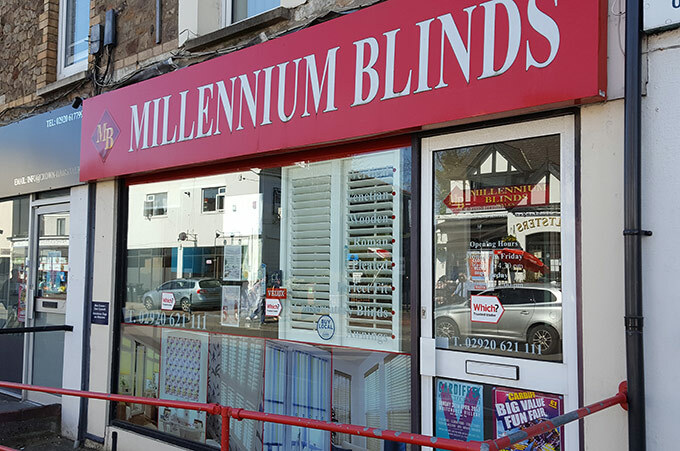 The Millennium Blinds showroom is located in the heart of Whitchurch on Merthyr Road. There is ample parking available in the village and we're always happy to welcome customers new and old to our showroom. Why not come and visit us and discover how you can get the most out of your windows and create living spaces that are practical and beautiful. We have a wide range of blinds to view at our Cardiff showroom and can also advise on a variety of brands and manufaturers. Trust our experts to find you the perfect window styling ideas.